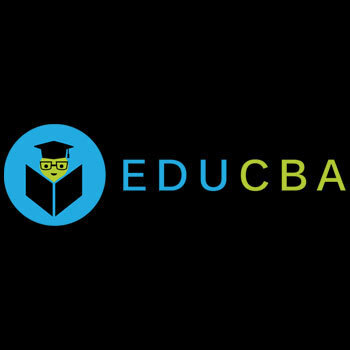 eduCBA is an online education provider, teaches you real world skill on everything from Investment Banking to Programming to Project Management to Design & many more. As is its and e-commerce firm I can easily access to it anytime and at any place. They provide the service as n when required. The best thing about them is they are available 24/7. Wide range of courses offered. Some of the study materials are brilliantly executed to know bits & parts of the subject which is a big deal to make someone learn through the mode of online. As I have just experience 2-3 course which was MS excel, MS access, and various other office productivity courses. There was nothing to be dislike in it. I would like to recommend this online courses site to everyone who want to gain knowledge in excel, has this course from educba gave me the required knowledge about advanced excel. I used the advanced technique of excel in solving by office problems. I used it it in my professional life to create pie charts, dashboards, pivot tables, Vlook up , Hlook up functions which I was not at all aware off. And now these tools are helping me alot to save my time on my office task. "Great platform to learn online courses"
There are many site providing online courses, but my preference is educba because I like the diversity of the courses offered by them that to at a minimal rate. The instructors are of friendly nature and are professional regarding the course. Every material provided by them is useful from the learning point of view. They also offer 24/7 service which is a best part. The thing to be dislike is the timing and the presentation of the course. The 3D design course was not placed in an accurate timing, as well the presentation was not placed in the correct manner has it should be. It’s not a big issue but should be done properly. It will be more good if the team start providing practical assignments for the graphic designing course in order to practice the things. As I am satisfied by the animation course, I would recommend it to people interested in achieving more knowledge in the field of graphics and saving there time by learning online. Being a graphic designer by profession, I used the learned techniques to solves the problem faced by me during designing or any work I do. The tips helped me to nurture my skills and helped me to learn new techniques to gain more insights about the animation software. I like the vast diversity presented through online learning. It makes learning more interesting when others have varying viewpoints to share and to make you reconsider things. There are various courses offered by them in different fields. The staff and the tutor is also helpful and friendly. It is a very professional and affordable site to learn various courses and gain the knowledge required. It’s the timing of the course, it’s too short for some courses and too long for some. I have completed 3 courses, the 3D design course was short enough I feel it requires much deepness and then i studied about unity games development which was awesome to learn & practice and even studied Maya courses but found them too short. I would like to recommend this site to those who have a busy schedule and want to advanced there knowledge and career. As I have done the course to just gain knowledge in my fields, I don’t use all the 3 courses. I used the 3D design course in my professional field to know how what all tools can be effectively used for creating images & backgrounds. the fact that i had complete freedom with regards to when i studied and for how long. The convenience and flexibility of being able to do the modules when I was ready. I can't say how satisfied I am. The course was well broken down into structured lessons, and the questions ensured that you learnt the material. It was fun and enjoyable as opposed to a boring and stressful classroom coaching. Money well spent. Somewhere I found the deteriorated quality of videos in few parts of the course. Overall i found the training was taught properly so team if you could take care the quality of the videos so that will be great. All in all a great course with helpful friendly support, I would have no hesitation in recommending it to anyone! The best thing is the simplicity of all courses which are self explanatory with the proper guidance of the instructors. They have different courses in various fields for all those who want to gain knowledge and specifically for those who dont have time due to their busy schedules. I have completed by financial modeling training them, but the best part was you can give a try to their free courses before enrolling for the course you need. Everything with educba site was smooth and professional for me. well this is were i wanted to comment too, there is delay in response delivering my doubts were dealt very lately once though the team apologized for the same but it was frustrating at that time but never the less they later on properly took care of the doubts later on. For me the financial modeling training was a good experience from the learning point of view, so I do recommend it to others who wish to enter into investment banking career. This training has helped me in my professional life to solve the financial problem faced by me during the meetings and projects. It has helped me to improve my skills in preparing financial modeling sectors, industry ratios analysis and overviews of finance, etc . I like the thing that there are variety of courses from different fields for everyone at educba. The most important thing is that they provide life time subscription to there courses. The instructors as well as the support team is helpful. The courses are easy to understand and innovative. And the best part is it saves your lot of time as it is online so I can learn it from anywhere without wasting my time on travelling. For some of the courses they don't go into enough detail for me. I'd like to see some of the topics get an advanced training series. I would wish if they come up with more detailed information on few of the courses as it is required. And if they bring more practical training in finance courses. Try the product to update your skill set and fill gaps in your current profile. Great and affordable pricing and easy way to learn and keep profile updated. It has expanded my knowledge of excel and I also managed to pick up some investment basics. I used my gained knowledge and experience in my daily professional field and it has helped me some or the other manner to show my efficiency at work. I like that it provides wonderful opportunities to learn and study in the familiar environment of home. The amount of degrees and courses they offer online is amazing. It is a very professional and affordable site to learn various courses and gain the knowledge required. The study material and the videos provided by them are very useful and well presented. The support from the tutors is great and by communicating with the instructors make it a friendly structure. There is nothing much more to be disliked about educba. But yes some of the courses are short to even understand them properly. Better could be if they come up with more brief information on the subjects which will help to know the subject more appropriately. All in all courses are fine. I found educba.com as a great learning tool which provided me the required knowledge. The flexibility of the course allowed me to work full time as well as study. As I had a great and knowledgeable experience, I do recommend it to others. Do try their free courses, you won't be disappointed, in fact, you'll probably end up becoming a paying customer. Educba has helped me through many of the software updates in MS Office. Now I am able to work in advanced database. I can now manage to create a designing report, create tables using different application. This training course is beneficial for both, business usage as well as personal usage. "Right path for further studies"
I had nothing much to say about educba, before I enrolled in to is. But now I must say that this course made me realize the beauty of communication skills. The course was very well presented and given it that it was hands-on experience, it was easy to follow. I learnt a lot and experienced different aspects of communication skills which are mandate to know. The educator and the staff were helpful and were friendly to me. As of now nothing wrong I faced but I would like more practical case studies if they can add. I found educba to be the right path for anyone furthering there studies. Very Positive. Highly recommended. Educators and staff are very helpful and customer care is brilliant. I am able to solve problems regarding to my field by getting more insights of communication tactics. It has built in a confidence level in me and has enhanced by skills. "Simple & Quick Way to Learn"
One of the best things about educba was the flexibility to complete it when and where I could. It fitted in well with a busy work and home life! The level of support I received from instructor was excellent; always quick to reply with really clear advice and instruction, together with great encouragement! I didn't think that distance learning would be easy, but educba really did help make my social media management theory a success. I like the way that the course is split into easy to manage modules and that the 'My Course' page lets you see how much you have completed. The flexibility to dip in and out of modules is excellent. There are few things which I didn't liked, foremost in social media marketing courses the explanation was good but I wanted more practical examples to grasp the knowledge more accurately. Then sometimes videos keeps on lagging so team please look into this matter too. Of course - nowadays it's very difficult to reserve a fixed time period to attend a classroom teaching. My experience was good enough, so I do recommend it to others. I work as a event manager so learning new techniques on social media marketing has helped me to gain more insight about this area & also the certification added advantage to my area and helped me in getting more promotion. "Great Courses but requires a bit improvement"
Educba is the best online learning tool because it’s very easy to use, easy to handle the contents of the courses n all. It includes all the features we need or want in a online learning site. It has a huge variety of courses which are explanatory and can be enrolled by any of the age group. The instructors are professional and well educated in their fields. All the things are done online like uploading assignment, generating certificate n all are done in a easy manner. It seems that with their rapid development cycle, occasionally things do not get tested as thoroughly as would be desired. End result - bugs. Happily, educba is quick to respond to bug reports, and fixes are typically applied in short order. Best site to learn courses online. There are here & there mistakes which was acceptable as the delivery of service is quick which is a best part. If you are really interested in learning about finance and want to gain basic expertise you can try out this website. "One stop website for all trainings"
Site has superb structured format training to learn & get skilled knowledge about it. Great training course that covered everything you need to know about any of the subject. Videos, study materials and good response is provided by the site. The best thing is that I am able to listen to the lesson several times for better understanding. Courses are well placed, very practical and easy to follow. The thing I don’t like is that I dont found as such specific subject courses to clear the examinations apart from certification courses if they come up with course trainings on board examinations so that would be really great of you as these preparation courses on board subjects will be helpful to many. Great course which progressively builds your knowledge in a minimal amount. Save your money as well as time. Helps you to enhance your career in both personal as well as professional life. I do recommend it ! I learnt the advance features of designing from the course, which I am now applying in my daily work i.e. Adobe Director course, Adobe Photoshop, Adobe Illustrator & many more has helped me. The best thing abut them is that they are available 24/7. They provide the service as n when required. Wide range of courses offered which are chalenging and illuminating. Study material provided by them make it easy to understand. Instructor and tutors are professional, friendly and coordinating. Its is a useful and affordable site for everyone. What to like and what to dislike depends upon everyone point of view. The thing I dislike is that the 3D design course that I have completed was too short, I hope it could have been a bit longer. So that I would have enjoyed the course for a long time. Overall, leaving this point everything is ok. I had a satisfactory experience, so I would like to recommend it to everyone who are interested in learning in a different way. I have done the course to boost my CV which was again beneficiary deal for me & helped me to get better attention from employers for my skills. I like that there are huge amount of courses available online..The best part of online courses is you can access anytime, and educba provide this with an affordable rate.. At educba we can save our time as well as money. The courses are well explained and presented by the way of videos.. It is a stimulating and exciting way to learn... I love their trainings on six sigma which is thoroughly explained in a systematic manner. I dont like the short courses as they themselves are part of long courses, and even courses are not that practically oriented which I expected. If they can upgrade those courses & try to improvise more & more practical implications so that would be great enough. As per my experience with educba courses was good, I will ask you to try these courses by your own & decide whether they meet your requirements or not... They even have free courses so you can try them and experience it by yourself..
As I am studying right now, I used my gained knowledge for my study process and other activities... The learning was meaningful to my personal and spiritual life and will be invaluable in my journey of achievement..
* We monitor all eduCBA reviews to prevent fraudulent reviews and keep review quality high. We do not post reviews by company employees or direct competitors. Validated reviews require the user to submit a screenshot of the product containing their user ID, in order to verify a user is an actual user of the product. Hi there! Are you looking to implement a solution like eduCBA?